Following the announcement of our book together, Kiersten and I were fortunate enough to get covered again in Publisher's Weekly in the "Rights Report" column. 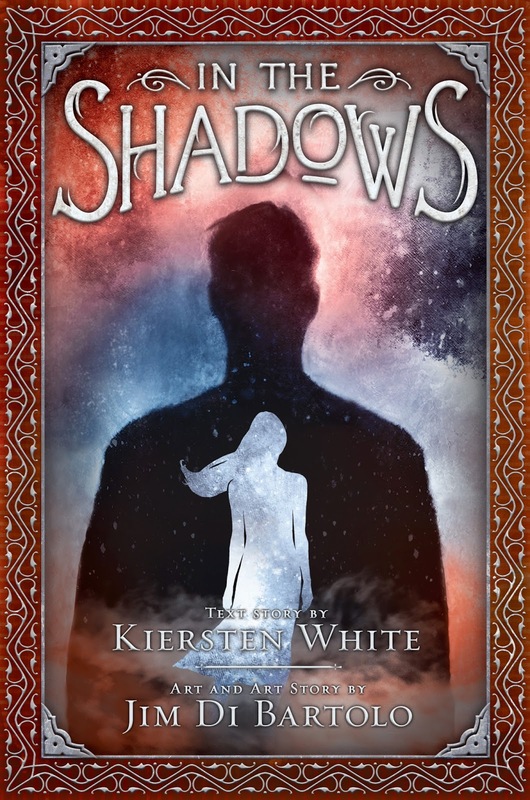 David Levithan at Scholastic Press has bought North American rights to Kiersten White and Jim Di Bartolo's In the Shadows, in a preempt. It was pitched as "Hugo Cabret meets Miss Peregrine," and the story is told "in an alternating narrative of words and pictures." Publication is scheduled for summer 2014. 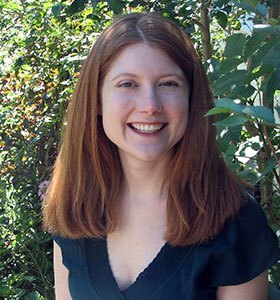 Jane Putch at Eyebait Management represented Di Bartolo; White was represented by Michelle Wolfson at Wolfson Literary. 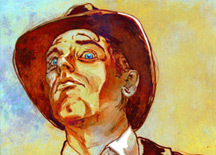 Film and foreign rights are controlled by Eyebait Management. Hello! So it’s been a long time in the making and has involved much secret-keeping whenever people have asked me over the last year or more: “What are you working on, Jim?” -- but the project has just been announced on Publisher’s Weekly! For Scholastic Press, David Levithan preempted North American rights to Kiersten White and Jim Di Bartolo’s In the Shadows. Scholastic says the novel is “told in an alternating narrative of words and pictures,” and is a “spellbinding [tale] of love, mystery, and dark conspiracy.” White is behind the text and contributed to the story, while Di Bartolo is credited with art, and the story. The book is set for 2014. Agent Jane Putch at Eyebait Management represented Di Bartolo; White was represented by Michelle Wolfson at Wolfson Literary. 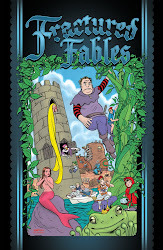 Basically, the book’s physical aesthetic concept is a combination of The Invention of Hugo Cabret and Miss Peregrine’s Home for Peculiar Children, but with some differences – most notably, it’s in FULL COLOR (insert the sound of whatever you imagine my voice sounding like saying “WOOHOO!” – now carry on reading, please). One of the most exciting things I have to say about the book is that it’s a collaboration with the sunburst-bright, creative dynamo, Kiersten White! Beyond being a New York Times Best Selling Author, Kiersten is not only a friend, but also a true gem to collaborate with. The poetic phrasings and graceful character moments she creates throughout the book have left me riddled with goose bumps even upon multiple re-reads. And some of the tense mysterious moments are written so lyrically & creepily -- they just leave me in awe. 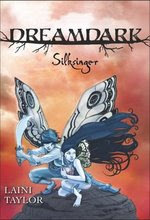 As the cover states, she handled text and text story of the book while I handled the art story and artwork. And again, it's in FULL COLOR! That last part has been a constant joy for me over the past year or more as I’ve been either drawing or painting every day – both on most days. What else could an illustrator who wants to tell stories hope for?! I’ve long wanted to get back to doing more traditional painting (with some digital finishing touches where needed) so I feel beyond lucky to be able to do so in the pages of a book that I’ve co-created. It is without a doubt, the largest project I have ever been a part of, and needless to say, it’s been a true labor of love and passion project for us both and I couldn’t be happier or more proud of what we’ve created together. Another one of the most exciting things was when we learned some months ago that David Levithan -- not only one of my music-loving-kindred-spirits, but also a powerhouse of an author and editor – wanted to acquire and publish our creation has been a constant thrill and honor. Thank you David, and thank you Scholastic! And of course, a big thank you to my agent and friend, Jane Putch. You are the best! So for now, those of us involved will remain a bit in secret about the book’s specific plot, or how it all works as a book, but as I am able to announce further details, I’ll be doing so here. (*update*): Lastly, I should clarify, that the book comes out on April 29th, 2014, and you can pre-order it through Powells Books here, through Barnes and Noble here, through Indie Bound here, and through Amazon here. Thanks for reading! To begin with, forgive the long dormant blog and thank you for reading it through its dust covered and cob webbed state. While I have been busy working away on several ambitious projects (and I promise news about them will follow as I'm allowed to discuss them), in the meantime, the reason I am here now is to discuss something so very important: the release of a wonderful novel by a dear, sweet lady that is no longer with us. The novel is called POISON, and the sweet lady was my friend Bridget Zinn. Not ever having done anything like this before, I first want to say that leading up to this book's release has been a long time in coming and Laini and I -- and those who were lucky enough to have known her better than us -- are thrilled to see it hit the stores at long last. It goes without saying that we wish she were here to see it, and after losing another writer friend to cancer several months before Bridget, for a while it felt like the kindest, purest, and most thoughtful among us were being pulled away one by one. But I don't want to focus on anything negative here. Bridget certainly didn't. She was always one of the happiest people I've been around, and her up-beat nature is evident in her fun debut novel. And I'm not alone in my praise for it. The official reviews have all been VERY deservedly praise-filled, and I'm excited for others to have a chance to now read it for themselves. So, please be among those newcomers yourself. 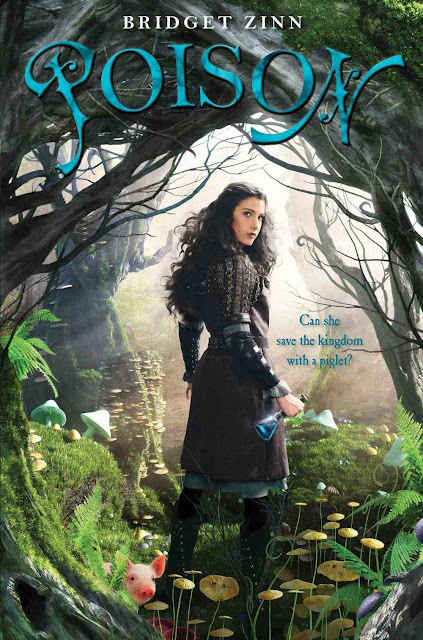 If you are local, come to A CHILDREN'S PLACE this Saturday at 6:00pm to hear Laini and other local authors read from the novel and then do a group signing of POISON on Bridget's behalf. If you are NOT local, but would like to have one of the signed novels I mentioned, the store will be taking phone orders to ship. Furthermore, there are more cool things going on that people are taking part in. Go here for more information. Lastly, if the fact that almost two years after her death those who knew her are joining forces to spread the word about her book release isn't enough to give you an impression of how lovely she was, here's a quick, small story about what she was like. After approximately two years of fighting a cancer that arose aggressively and out of left field in 2009, Bridget sent me an apology for not getting me a birthday gift in time for my April 25th (2011) birthday. I had had no party, and I'm not someone who normally asks for -- or expects! -- gifts from my friends on holidays. But dammit, Bridget not only remembered my birthday, she actually felt guilty about being a little late wishing me a happy day. She then further remedied that by sending a gift and a card. Perhaps that sounds like a small act, but I am still in awe of her kindness and grace during her trying time, and the fact that she thought of me at that time wrenches me in the chest to this day. But ... it also gives me a reminder of the sort of person to strive to be. Thank you, Bridget.